Join today and your first three month's will be free! Grow your business, spend less cash. We've been doing it since 1992! Bartercard is the world’s largest trade exchange, attracting new customers and increasing your sales. The concept allows businesses to exchange goods and services without the use of cash. 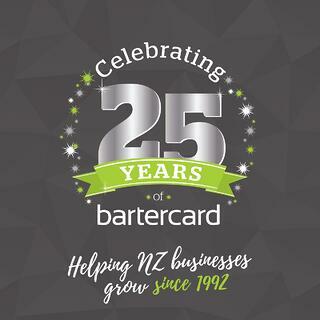 Founded in 1992, Bartercard New Zealand has 6,000-member businesses nationwide, approx. 15,000 cardholders, 13 local branches, 110 staff and trades more than $150million worth of goods and services outside the cash economy each year. Fill in the form to the right and we will be in contact with you within two working days. *Monthly service fee. Click here to view the terms and conditions.